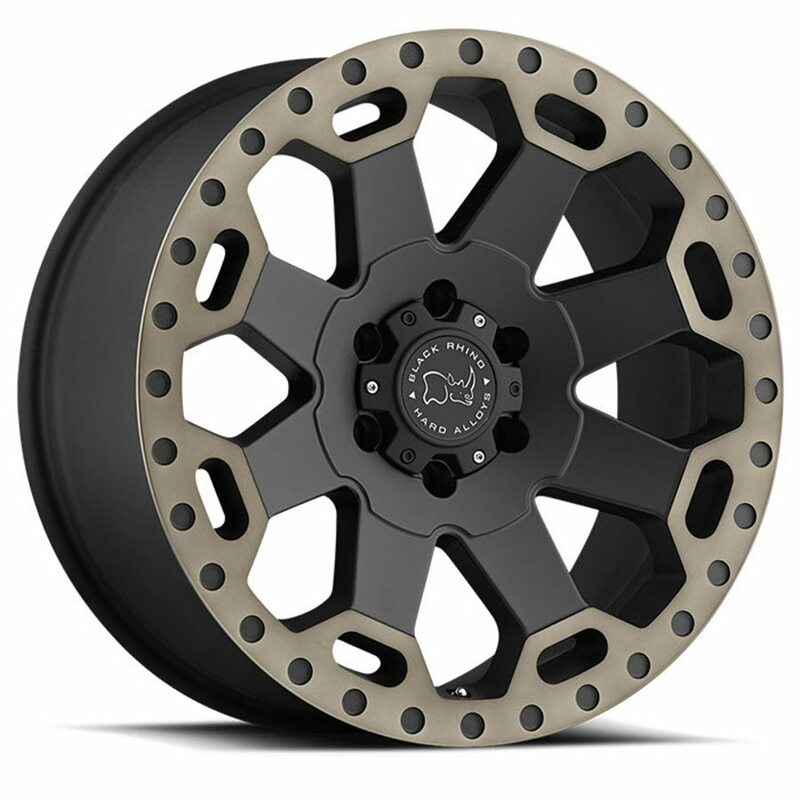 Black Rhino Warlord truck rims live up to that aggressive name in more ways than one. Start with the eight brawny spokes, bifurcated as they reach the thick, detailed lip. It’s a beefy, take-no-prisoners design, entirely in keeping with the spirit of stock and lifted trucks prepped for off highway gambols. Warload off-road wheels are aggressively sized, too, from 17×8, 17×9, 18×8, 18×9, 20×9 and up to 22×10, all with oversized lips to provide a sturdy bead seat for the big fat tires offroaders prefer. Warlord truck wheels are available in 5, 6 and 8-lug bolt patterns, including5x110, 5×114, 6×120, 5×120 for the VW Amarok and the newer 6×130 pattern for Chevy Colorado, GMC Canyon and 8×180 for bigger GMC trucks. Offsets range from -23mm to +12mm. Versions are also available for Sprinter vans and CUVs. Warlord wheels are available in a striking matte gunmetal finish and in matte black with a machined dark-tint lip. Like all Black Rhino wheels, Warlord off-road rims are engineered for strength, durability and long-lasting good looks.